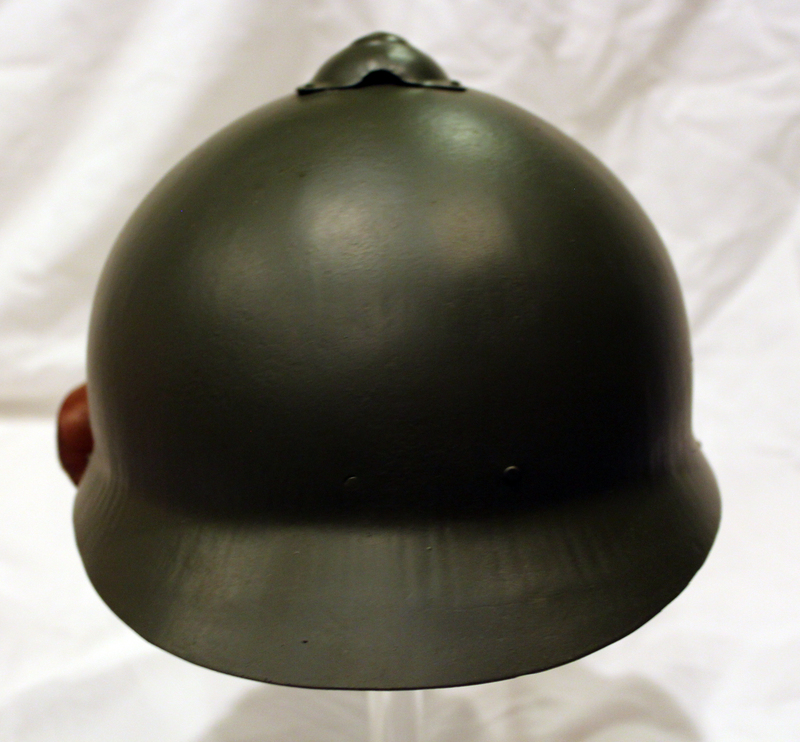 Newly restored M17 Russian shovel steel helmet, 1920s Soviet era. 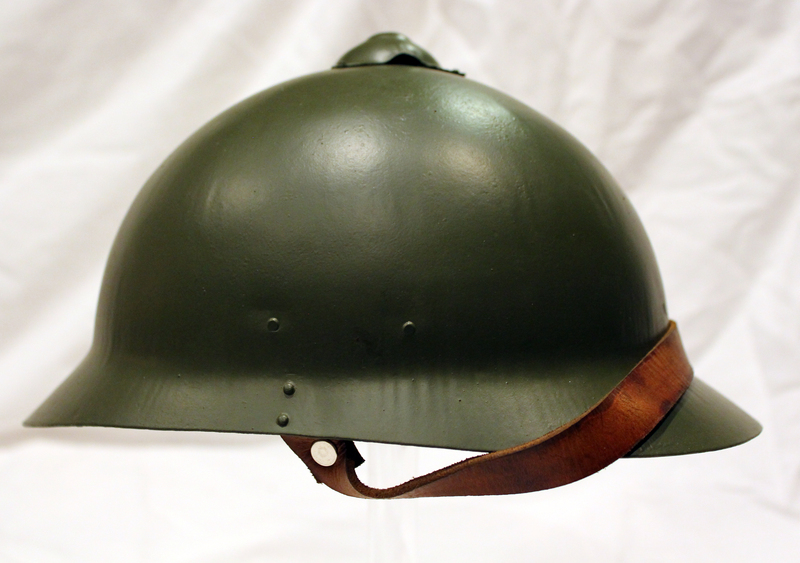 These helmets were originally intended for troops of Russia’s provisional government during WWI. 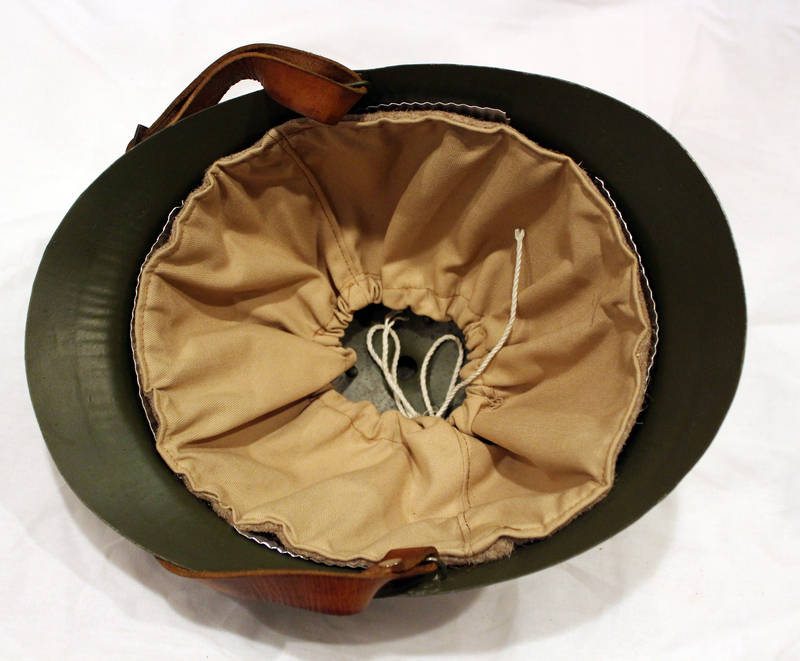 In the 20s the new Red Army would continue to use them. There was no official insignia for these helmets. 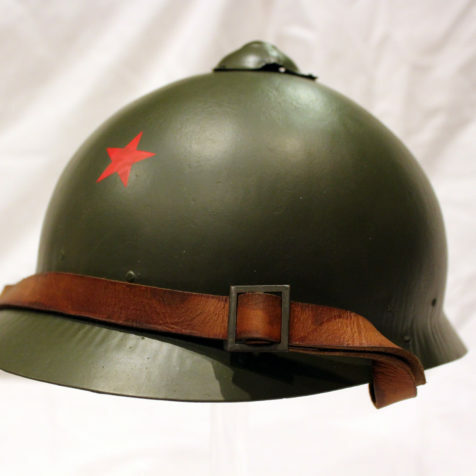 Some units would apply a red star as seen here or solder a cap badger to the front of the helmet as a way of showing solidarity with the new communist government. The liner and chinstrap were created referencing the original drawings.